London, like most capital cities, is a bustling metropolis. What with all of the shops, sports facilities and other such opportunities around every corner. With so much to do, there will be a lot to carry, and as a result, you’ll need places to store everything. Sure, you might have enough room to keep everything tucked away for the time being, but what if you need the extra space? What if you need to use the spare bedroom as a bedroom, rather than an oversized cupboard, for example? There’s nothing to worry about, because London has an abundance of places to store your things. Here are some examples of what kinds of storage London are on offer, and how to make the best use of it. What types of storage do these firms offer? The smallest kind of self storage that you’ll find on the market is the locker. Locker sized units start at about a metre cubed in size (that’s a metre in every direction) and only get bigger from there. They’re used for storing documents, stationary, folders and trinkets. So if you need that drawer for a different purpose, or if you feel that you need to store your important documents in a bank-like environment this type is well suited for you. If you need something more substantial, consider a walk in unit. There are two types; rooms and garages. Room sized storage containers are typically based indoors, and are used to store furniture, appliances and other such homely things. Garages, predictably, are better suited to things you’d keep in your garage – vehicles, gardening equipment, tools and building materials. If you’re moving home to London, or need to clear a large room or cupboard of knick-knacks, then consider one of these. What’s the best way to store your goods? If you’re using these storage units, (especially the larger ones) you really should store them in the correct way. For starters, you should invest in some good, sturdy boxes, and take care with packing them away – use liberal amounts of bubble-wrap, especially on boxes that contain valuables. 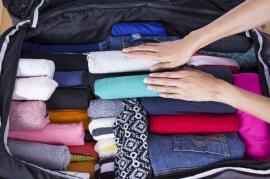 In short, you should pack smartly, and be sure to avoid overloading. If you’re moving house you should already have this step taken care of, but even if you’re not, you should treat it like you are. Because even if you’re not moving house, all of your stuff is. For upholstered and soft items, like blankets, and upholstered furniture, you need to take steps to protect them, especially if they’re going outside. Wrap them up in plastic to avoid damage and stainage from the elements. These units are typically well sealed, but they’re sometimes climate controlled too, so any condensation should be kept at bay. If you’re not planning to use a London storage firm, and you just want to store your goods at home, then the same advice applies; pack everything away safely and securely. If you need a more specific storage solution, then consider the following; If you’re storing smaller items, or clothes, get a hold of some lined baskets so everything stays in order in style. Need to keep your shoes ordered? Shop around for shoe racks and stylish boxes. There’s plenty of places in London where you can either buy storage space, or items to help your current storage situation. If you feel like your house is cluttered and / or disorganised, there’s probably a storage solution not too far away.